This is an acrylic painting on a gallery wrapped canvas meaning that the sides are painted. The painting measures 10″x 8″. 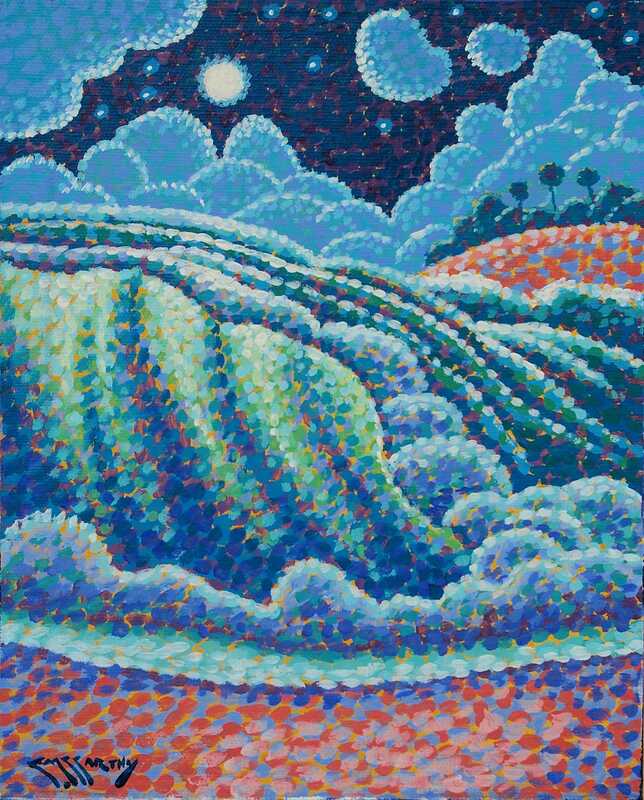 This pointillist painting depicts the moon rising over a whimsical beach scene with waves curling on to the shore. Inspired by my life in Florida. This pointillistic painting is being sold unframed.